South Carolina’s high school students have the unique opportunity to do just this by participating in a Youth Apprenticeship program. The program combines high school curriculum and career and technology training with critical on-the-job training performed at a local business. Students can pull in a paycheck through part-time work while earning a national credential in one of many high-demand occupations. South Carolina’s business and industry need highly-skilled workers. Registered apprenticeship works to build a solid workforce pipeline for the future. Easily get the experience you need for your future career through a registered apprenticeship program. These programs combine your current high school curriculum with critical on-the-job training from a local employer. As a youth apprentice, you will receive education and skills while earning a paycheck. What’s more, upon completion, you will have the highly sought-after skills and experience that could make your career possibilities limitless. 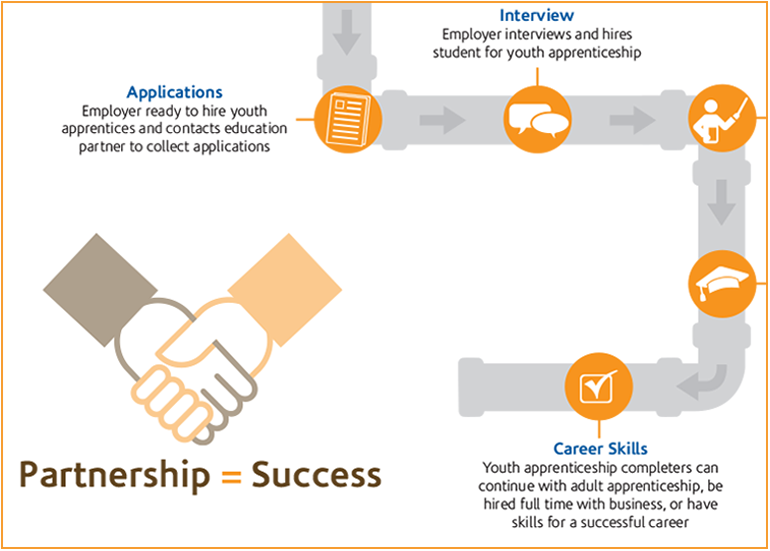 Talk with your guidance counselor today about Youth Apprenticeship. You want the best for your children including the best possible start to their working life. Youth Apprenticeship enables your high-school aged child to gain the necessary skills for high-demand jobs while earning a paycheck in a safe, secure environment. The program also ensures your child’s academic success. High school completion is a necessary component of the program. Relevant education and critical on-the-job training create the right combination to put your child on the right track to a promising career. Talk with your child’s guidance counselor today about Youth Apprenticeship. Preparing students to be the next generation of workers is vitally important. By partnering with local businesses, your school district can work to build South Carolina’s workforce by creating opportunities for learning and growth through Youth Apprenticeship programs. The high school curriculum and career and technology training you offer are integral pieces of the program. What’s more, youth apprenticeship enhances your academic success goals. High school completion is a program requirement. What skills will your workforce need over the next few years? How will you replace retiring employees in the next several years? These are important questions for your business and youth apprenticeship could provide the answer. Registering a Youth Apprenticeship program in cooperation with your local school district will give you the opportunity to expose a high school junior or senior to company-specific on-the-job training. The program essentially lets you create your next-generation workforce. 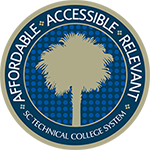 In addition, a registered program makes your company eligible to receive a $1,000 per apprentice South Carolina state income tax credit. Combining a relevant education with critical on-the-job experience provides the makings for a successful career. In fact, apprenticeships are the pinnacle of work-based learning opportunities. 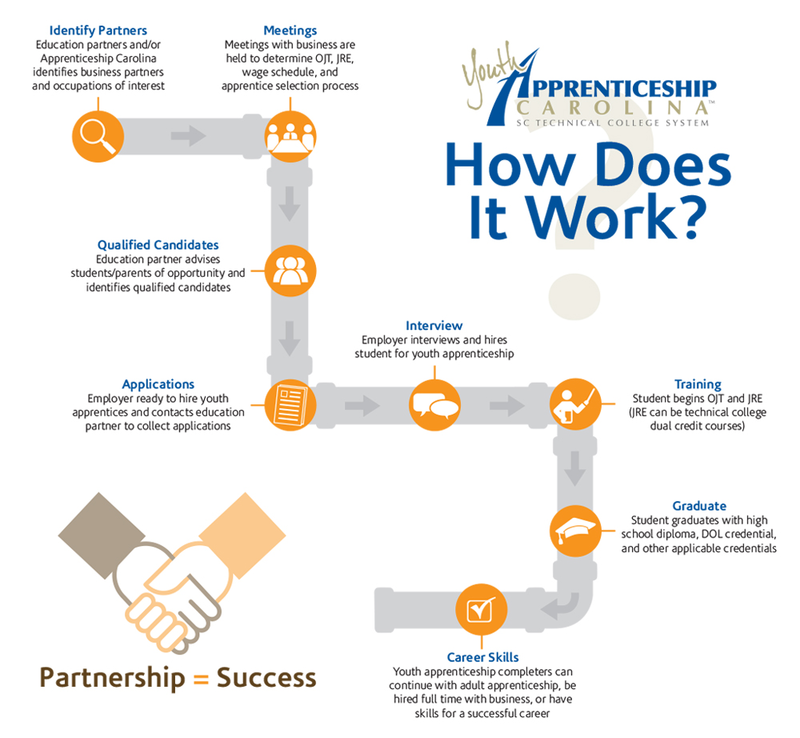 That’s the formula that drives South Carolina’s Youth Apprenticeship program. It truly gives South Carolina’s youth an opportunity to earn while they learn. This forward-focused program works to ensure a well-educated, well-trained workforce for South Carolina’s continued competitiveness in attracting and retaining business and industry. Strengthen their academic skills and in turn their academic success.